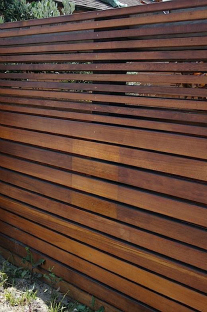 Garden fences serve a multitude of purposes, both practical and decorative. They can create privacy, establish security, and mark property lines. These features may help to enclose a garden and work to define cultivated areas within a yard. They may function as windbreaks, or simply to serve as a design accents for outdoor living spaces. These garden features can also serve as attractive backdrops for plantings as well as offering support for low-growing shrubs as well as vines and climbing roses. These garden features are integral elements of many contemporary designs for outdoor living spaces. Depending on style, shape, materials, and colors used, these garden structures may even hint at what will be found on the other side. Of course, purpose dictates design. For example, a tall vertical screen may be used to enclose a small area to make the space seem larger. This happens as the eye puts together separate areas to create a whole, which makes the entire area, seem larger. As well as making a small area seem larger, these garden features can break up monotonous surfaces just as trellises, arbors and pergolas will. They may also be constructed to define an area for a particular recreational use or to function as a backdrop. 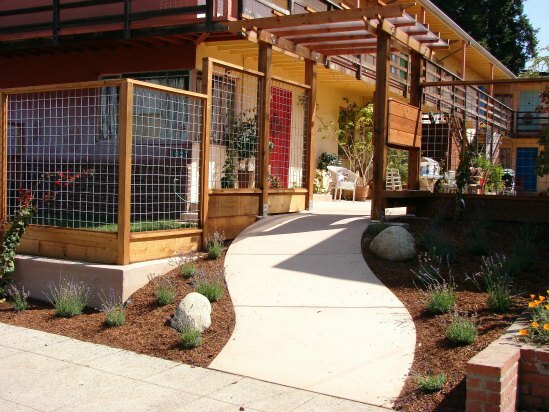 A fence may also serve as an extension of a house, or become a link between the home and garden. If you choose to do the design and construction yourself, remember that long-lasting wooden fences depend on good materials. The best choices for ground posts are decay-resistant heartwoods, like cedar, cypress and redwood. Another option is pressure treated lumber, which is usually pine. Pressure treated lumber is not as durable as heartwoods, but it is less expensive and is actually more resistant to insects and rot. 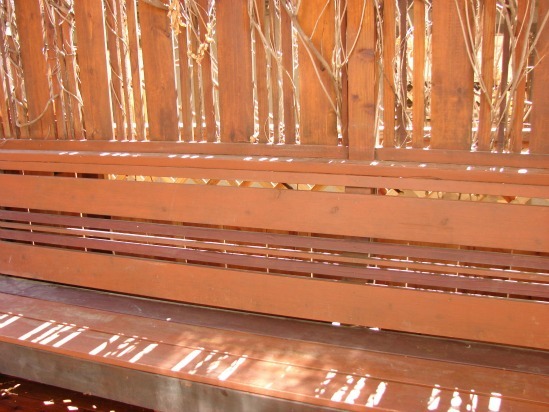 In addition, it also works well for secondary parts of a fence, like pickets, boards, and rails. Whether you choose to build yourself, or hire a skilled contractor, remember that the right garden fence can help turn an ordinary yard into a secure, private retreat. Picket fences are iconic boundaries for front yards and gardens.